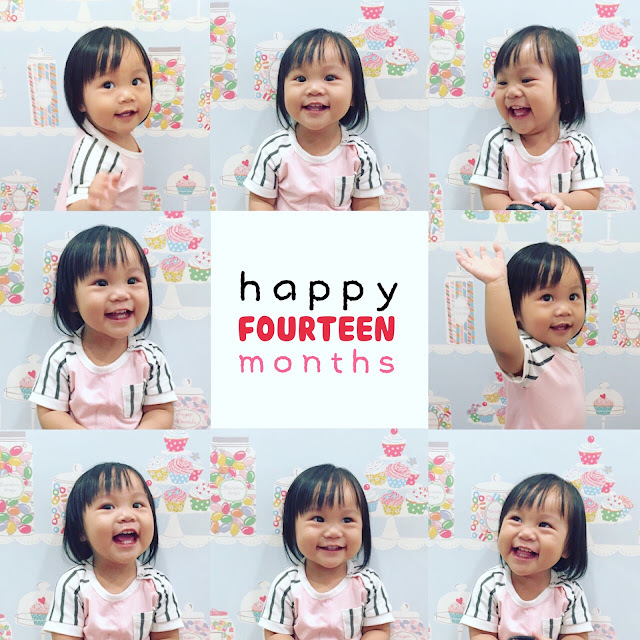 Your 14th month is spent in Penang, with your papa, mama and yeye. And you are drooling, means... You are teething again. Gosh. The last trip you were also drooling. Hopefully it doesn't last as long and you can enjoy more of the trip. Mammy trying to feed you more food too. I feel that you had lost weight. The chubbs are not as chubbs as before. So darling, eat more.